Last season's skipper Misbah is no more part of the team now. The upcoming season of the Pakistan Super League (PSL) is all set to commence on February 14. A total of six teams will fight it out for the glory while the defending champions Islamabad United will look to keep the trophy in their cabinet itself for the second consecutive. However, they won’t be having the captain marvellous Misbah-ul-Haq this time around. 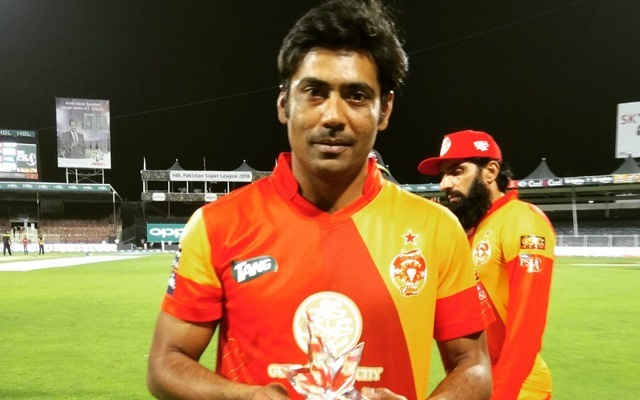 In a surprising move though, the franchise has appointed Mohammad Sami as the skipper of the side according to the Geo News. He is another experienced player of the team and was one of the top performers with the ball for the United. Sami, last year, ended up with 13 wickets in 11 matches at a brilliant economy of 6.82 and will be keen on leading from the front this season. “It’s an honour for me that Islamabad United and Ali Naqvi have selected me to lead the franchise. I have always aimed to give my all to the team, to repay the faith that they have vested in him, and I hope that I will be able to rise to this challenge too. I feel privileged to have been given this opportunity and I hope that I will continue Islamabad United’s tradition of success,” Sami said on his appointment at the helm according to the press release. Meanwhile, the owner of the franchise, Ali Naqvi expressed his elation that the veteran fast bowler who has played 136 matches for Pakistan and is also the key player for them in the PSL agreed to lead the team. “Sami has always served the franchise with utmost respect and honour. He has always conducted himself in a way that defines us and has been one of the stars for the team over the past three years, winning multiple matches on his own. Furthermore, he has years of captaincy experience – he has captained various Karachi teams, on and off, for almost a decade now, and has been successful in that role. He was our first choice for the role, and we are pleased that he will be leading the franchise for this edition of the PSL,” he said.